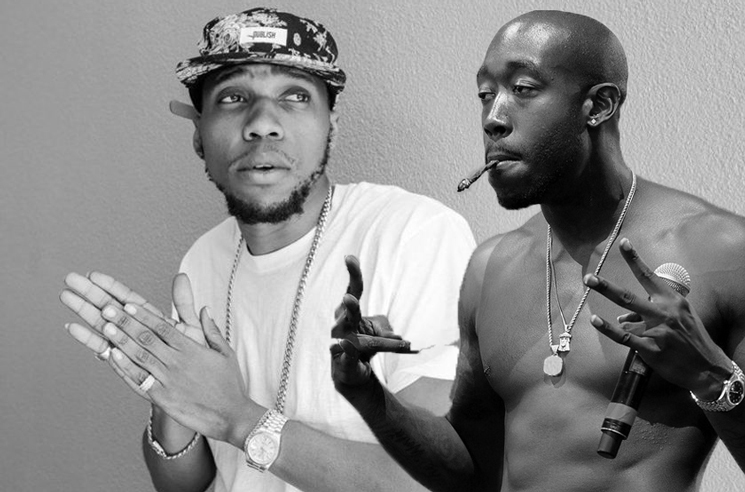 It's been over one calendar year since Freddie Gibbs and Curren$y announced plans to team up for a collaborative EP titled Fetti, and while it didn't arrive last year as they had planned, the project has now reportedly been completed. UPDATE (9/26, 2:43 p.m. EDT): Curren$y has now confirmed that Fetti will arrive on October 31. You can watch a video announcement below. On Twitter, Gibbs commended his collaborator for finishing his work on the release in two days, simultaneously teasing the new music. In an attached video clip, you can hear the pair delivering verses over a jazzy loop. The announcement comes after Curren$y took to Instagram last week, letting Gibbs know that he had finished his half of the project. He also revealed that his half was entirely produced by Alchemist. Fetti has yet to receive a concrete release date. Earlier this year, Gibbs delivered the surprise LP Freddie. He is also rumoured to have wrapped a second full-length alongside Madlib titled Bandana.